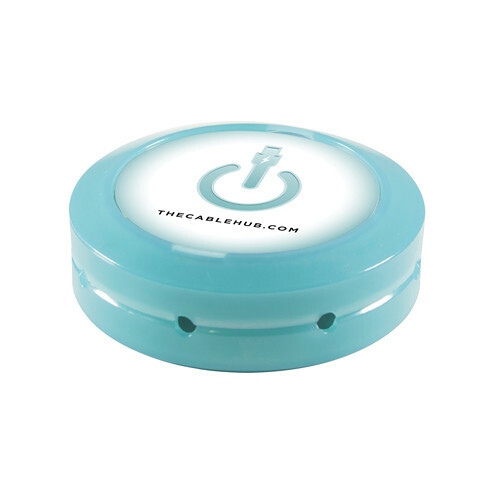 The Round CableHub in blue glow is a weighted disc that allows you to organize up to 7 cables, cords or wires to reduce exposed cords. This convenient cable management solution allows for enhanced safety around your space. You can wrap up to 10' of cables around the disc - then simply snap it shut. Additionally, you can customize the top insert with a photo, logo or artwork using CableHub's online DesignStudio. Box Dimensions (LxWxH) 7.7 x 4.4 x 1.2"